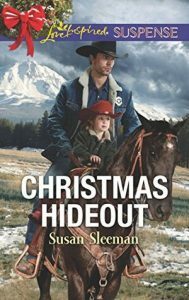 The finale in Susan Sleeman’s McKade Law series is here! 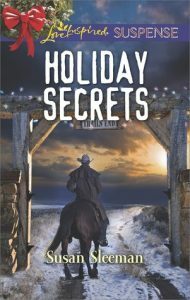 When Kendall McKade does a welfare check on one of her county’s elderly citizens, she’s thrown back into the orbit of Cord Goodwin, the man whose heart she broke several years ago. Cord has experienced some tragedy in his life and is determined not to lose anyone else he cares about. Even though they are no longer together, Kendall falls in that category. 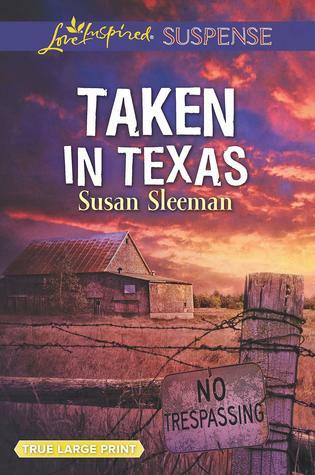 While the investigation and action surrounding what happened to Cord’s aunt are as spot-on and intense with plenty of surprises popping up for these two working together, the struggle Cord has with survivor’s guilt, his relationship with his nephew, and his relationship with God are what spoke loudest to me in Taken in Texas. Even better, both these characters experience an emotional and spiritual growth spurt during this book. 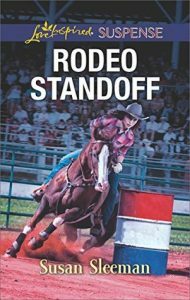 I’m going to miss the McKade family of tough law enforcement professionals, but the great thing about books is I can visit as often as I’d like.